Ummm, wish I could say it looked delicious, but no. 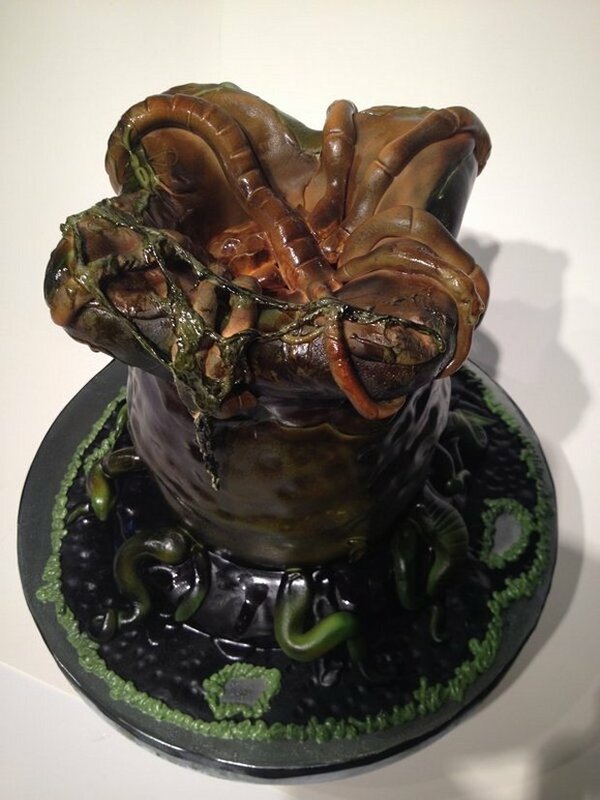 This Alien Xenomorph Egg Cake does not look appetizing, even though I’m sure it tastes great. I should clarify, this cake is not made from actual Xenomorph eggs from Ridley Scott’s Alien, David Arsenault just made it look like one. Does that help you want to eat it? I thought not. I’m sure the acid green blood buttercream frosting tastes amazing. Just try not to think about it or look at it too much before taking a bite. It really looks awesome though. That is some great cake artwork there. If you eat too much, will another alien burst out of your chest?